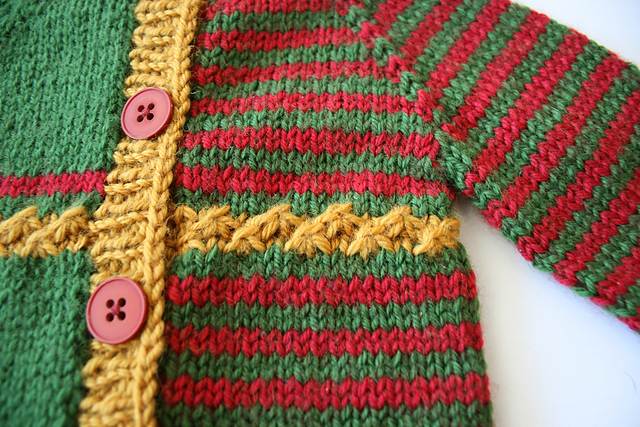 My first baby design – a simple top down baby cardigan with assymetric intarsia stripes and contrasting star stitch! 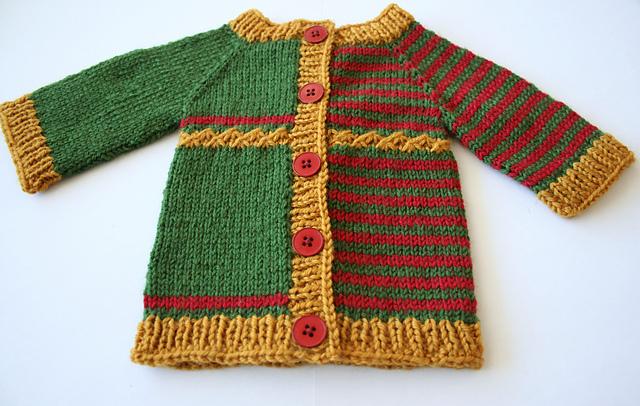 Hi, I am knitting your Yet to be Named baby cardigan. I am at the row where I start the star stitch. I am totally confused. I have taken it out several times. It seems like the way it is explained, I will lose stitches. I think what I am not understanding is after the parentheses you have “in the same 3 stitches”. If I am purling 3 stitches together twice, I feel I am losing stitches. 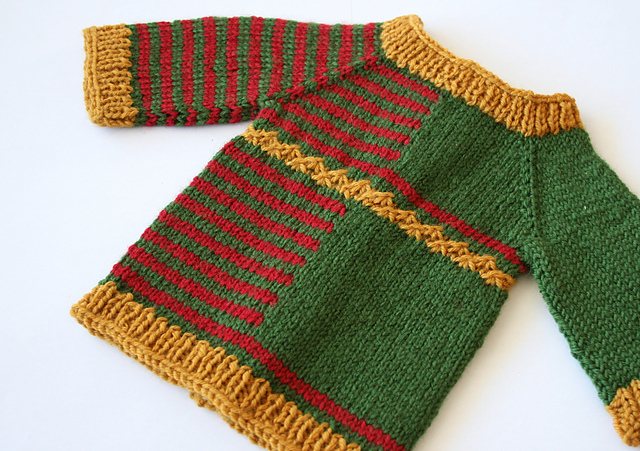 Thank you for the free pattern, it is lovely.